Personable: Our team is knowledgeable and easy to get to know. Their focus is on you and your success in your educational pursuits. Essentially, we want to know about you to help you achieve your goals at CSUSB. 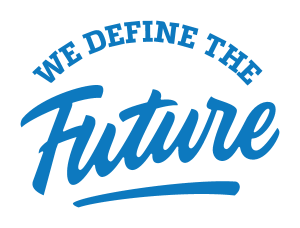 Practical: Our team is well aware of the rising costs of education and will help you achieve your educational endeavors in the time frame that you desire. Polite: Our team will work with you in a professional manner. You are our customer, and as our customer we want you to be happy with your choice to pursue marketing as a career and welcome the opportunity to assist you. BIOGRAPHY: Lisa Gordon is the Academic Support Coordinator for the Department of Marketing and is active in her community. Along with her department responsibilities, Lisa is a member of the Jack H. Brown College Branding Committee, JHBC Impact Magazine as well as a Social Media Specialist for the College. Lisa has served on the board of the American Advertising Federation managing their social media, served as a CSUSB Diversity Trainer, Eat & Be Well Steering committee member and is Co-Founder of Embrace The Change Annual Event. Lisa is currently serving on the advisory board for Cedar House. Lisa’s interests include communication and media innovation, digital marketing, advertising, business development and consulting, and public relations. BIOGRAPHY: Marina was raised in Rialto and has lived there with her family for 28 years. She has been an active member of the Inland Empire since high school serving as a member and later the Vice President of Key Club at Eisenhower High School. After graduating, she attended community college where she received her A.A. in Arts and Humanities before transferring to California State University, San Bernardino (CSUSB). Before graduating, she had an internship at Coyote Advertising and was responsible for designing websites and writing articles for the student-run advertising firm. Subsequently, she became a Student Assistant and assisted in the award-winning Holiday PSA campaigh (2016) developed by Jacob Poore. Marina graduated in 2016 with a B.A. in English - Creative Writing hoping to one day write a book of her own. Marina works alongside Lisa Gordon and Dr. Victoria Seitz in the Marketing Department and with Dr. Francisca Beer in JHBC Office of Academic Equity. Alongside that, she is a freelancer who creates websites, graphics and photography for small businesses in the Inland Empire. BIOGRAPHY: Dr. Victoria Seitz is a professor and Chair of the Marketing Department at California State University, San Bernardino. She is the author of five books: Power Dressing, Your Executive Image, and I Don’t Wear A Suit as well as two books on advertising and public relations published in Romania with Mariana Nicolae (2006), “Crearea Imaginii (Image Making)(2008) and Cheia Succesului Imaginea Profesionala (Your Key to a Successful Professional Image). She received her Master’s and PhD from Oklahoma State University. Prior to teaching she was a fashion coordinator for Burdines Department Stores in Florida and in retail management for Saks Fifth Avenue in Phoenix, Arizona. Dr. Seitz has been a guest on numerous radio and TV talk shows both in the US and Canada and has been quoted in newspapers across the country including the Los Angeles Times, Investor’s Business Daily, Business Week, and the Kansas City Star. She has written hundreds of articles for academic, trade and popular magazines and has made presentations at national and international association conferences. Dr. Seitz received a Fulbright Senior Fellowship award in 2002 and two Fulbright Specialist Awards in 2006 and 2008 in Romania conducting research and teaching on advertising and marketing. Additionally, Dr. Seitz has consulted with companies on issues dealing with image marketing and advertising. Some of her clients have included the US Armed Forces, Accountant Overload, General Dynamics, Texas Instrument, Abbot Laboratories, Yellow Freight Systems, and The YMCA. BIOGRAPHY: Dr. Jason Ryan joined CSUSB in 2011 from the University of Redlands as an Associate Professor of Marketing. At Redlands, he taught in the full-time undergraduate business program for four years and was granted early tenure and promotion. Jason has ten years of teaching experience in institutions of higher education in Ireland, Finland, Spain, Morocco and the United States. Prior to moving to California in 2007, Jason was employed by Saint Louis University for two years to teach international business at its overseas campus in Madrid, Spain. He also has six years of industry experience at PriceWaterhouse Coopers, America Online, Inc. and Sigma-Aldrich Corporation. Jason likes to describe his personal and educational backgrounds as eclectic. Jason was born and raised in France to an American father and an Iranian mother. He moved to the US in 1991 as a teenager to attend Swarthmore College, where he majored in History. After graduation, he worked for PriceWaterhouse Coopers as an IT Consultant for two years before attending graduate school at Washington University in St. Louis. There, he earned an MBA and an MA in International Affairs. After working for both America Online and Sigma-Aldrich, Jason decided that his true calling was teaching. Jason moved to Dublin, Ireland, to attend the PhD program at the Smurfit Graduate School of Business at University College Dublin. While studying in Ireland, Jason met his wife, Sari Silvanto, who hails from Finland. Jason and Sari both earned their PhDs in 2007 from University College Dublin and the University of Warwick (Warwick Business School), respectively. Jason’s research interests are branding and the global mobility of skilled professionals. His articles on these topics have appeared in the Journal of Brand Management, the Journal of Travel & Tourism Marketing, the Marketing Review, the Journal of Global Mobility, Marketing Intelligence & Planning, Place Branding and Public Diplomacy, Career Development International and the European Journal of International Management. BIOGRAPHY: Dr. Eric Newman is a Marketing Professor at the Jack H. Brown College of Business and Public Administration at California State University San Bernardino – Palm Desert Campus. He received his BS and MBA from the University of Montana and a Ph.D. from Washington State University. Dr. Newman has worked in a number of industries including travel, hospitality, sports entertainment, real estate, and the technology industry. BIOGRAPHY: Dr. Haakon Brown is an Associate Professor of Marketing at California State University, San Bernardino. He came to CSUSB in 2009 after completing his Ph.D. in marketing from the Kellogg School of Management at Northwestern University. His research interests include self-control and consumer behavior, cultural effects on consumption, and the consumption of sport. His dissertation examined how mentally simulating future behaviors affects attitude certainty, demonstrating an additional pathway to attitude certainty that does not rely on previous experience or knowledge. Haakon’s teaching interests include consumer behavior, marketing principles, sports marketing, and international marketing. He is passionate about teaching and believes that learning should be fun, so he works hard to make his classes entertaining and enjoyable. Prior to his academic pursuits, Haakon spent a number of years working in consulting, first for CSC Consulting and then subsequently Deloitte Consulting. He scored in the 99th percentile on the GMAT and has been helping students with their preparation for the exam for more than 7 years. He is originally from New England and as such he is an avid New England sports fan (even though that causes some problems here in Southern California), and also enjoys cooking, reading, music, photography, and the piano. In addition to his Ph.D., he also holds an MBA from the MIT Sloan School of Management and a BS in Mechanical Engineering from Columbia University. BIOGRAPHY: Dr. Chanho Song is Assistant Professor of Marketing at California State University, San Bernardino. He holds a PhD in Marketing from Kent State University and an MBA from the University of California at San Diego. He is originally from Korea where he received an MS in marketing and a BS in business administration. Chanho's primary research focuses on incentive programs in marketing areas such as firm strategy, consumer word of mouth and service quality. He is also interested in behavioral experiments. His dissertation examines the effectiveness of referral rewards from the perspective of three parties: the firm, the recommender, and the receiver. He has experience with both laboratory and field experiments as well as secondary data analysis. Before joining the faculty at California State University, San Bernardino, he taught at Kent State University for five years. He has taught a wide array of courses including Advertising and Promotion Management, International Marketing, and Marketing Applications. Prior to entering academia, he worked as a manager for his family's business and also worked as a consultant regarding employee education and training. 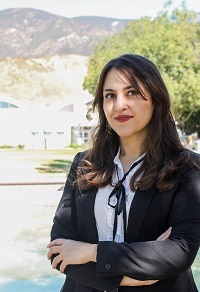 BIOGRAPHY: Dr. Melika Kordrostami joins CSUSB as an assistant professor in the department of Marketing. Prior to her move to California, she lived in Iowa for four years to pursue a Ph.D. in Business-Marketing. Before joining Academia, she worked in different multinational companies such as Nestle and Siemens. Melika’s close relationship with sales and marketing team in these companies got her interested to do research in marketing. Furthermore, as a part of her job, she used to hold executive workshops on topics such as change management, gender balance, and performance management, etc. which made her interested in teaching. Melika has a bachelor’s degree in Industrial Engineering and an MBA both from Sharif University of Technology in Iran. Her diverse background in industry and academia equips her with required skills to teach both undergraduate and graduate levels. Her great passion towards empowering women led her to focus her dissertation on female power portrayals in advertising. Moreover, she is engaged in other research projects concerning consumer behavior, emotion, and branding. She won the best “Three Minutes Thesis Presentation” at Iowa State University. Melika has taught different courses at Iowa State University for which she won the “Excellence Teaching Award”. She will teach Consumer Behavior and Marketing Principles in the Fall quarter at CSUSB. In her free time, she enjoys working out, reading, movies, and discovering art exhibitions and galleries. BIOGRAPHY: Kim Tan joined California State University, San Bernardino in 2007 with over 20 years of industry work experience in marketing research and business consultancy. With his professional experience, Kim taught both MBA and undergraduate students at various institutions including Chapman University, University of California Riverside, University of La Verne and University of South Australia. He was also the Vice Dean with the School of Business Management at Nanyang Polytechnic in Singapore where he was heavily involved in institutional research and promotion, academic personnel recruitment and management, as well as work involving institutional networking and strategic partnerships. Kim is a graduate from Louisiana State University (LSU) in Business Administration with a concentration in marketing. He also earned a MBA with distinction from LSU specializing in strategic management and quantitative business analysis. Upon graduation, he went on to pursue a career in marketing management with Electrolux and Nestle. Prior to joining the education industry, Kim worked as a Senior Marketing Research Consultant for Price Waterhouse helping clients such as Intel, IBM, Coca Cola and Yellow Pages through marketing research and organizational development projects. Kim is currently serving as a Director on the Board of Directors of 2 wholesale enterprises in the marketing and distribution of consumer products to retail organizations. Apart from his work as an instructor and a business advisor, Kim also worked on academic research, contributing scholarly research work for publications especially on areas pertaining to professional selling, sales management and services marketing. BIOGRAPHY: Ernie Silvers is the driving force behind Silvers Connection, a growing consulting practice focused on connecting people and business with opportunities for growth and profitability through lean concepts, process improvement, education, and training. Silvers Connection specializes in leading mid-sized, small, and family-run businesses through development and implementation of operating systems to maximize efficiency and sustain profitability. Ernie has more than 25-years of diverse management experience as a C-level manager as well as operations management, manufacturing, sales and marketing, human resources, and logistics. The bulk of his career has been spent in the automotive aftermarket, which is a 63-billion-dollar global industry. During this time, Ernie led a third-generation, family business through the transition to professionally managed organization. With Ernie’s guidance, revenues steadily grew 28% over a five-year period. By instituting structured quality systems throughout the company and implementing organizational processes, the business became operationally efficient as well as profitable. Ernie has been actively involved with the Specialty Equipment Marketing Association (SEMA), and has served in leadership positions on several committees, industry councils as well as the SEMA Board of Directors. He currently serves as a Director on the oversight board for SEMA’s 501c3 entities. Ernie is a Lecturer at the Jack H. Brown College of Business and Public Administration at California State University, San Bernardino, CA (CSUSB). Assigned to the Marketing and Management departments since 2014, he teaches undergraduate level courses in Marketing Principles, Organizational Behavior, Administrative Communications, Work Group Management, Small Business Management as well as Leadership and Ethics. Ernie is a U.S. Navy veteran who served six-years as an aviation electrician on C-130A aircraft, stationed at NAS North Island, San Diego, CA. He earned a master’s degree in Business Administration from the University of Redlands, Redlands, CA. Ernie is an active member of Toastmasters and the Inland Empire American Marketing Association. Ernie resides in Moreno Valley, CA with his wife, Deanna, and two golden retrievers, Mungo and Shelby. BIOGRAPHY: Dr. Rami Tameez is a financial professional who focuses on protecting and preserving the wealth of his clientele. His goal is to assist his clients in creating lasting strategies that protect their hard earned assets and give them the independence and control needed for the future. As one of the founding leaders of Legacy Financial and Insurance Services, he leads his team to help local clients with retirement and insurance strategies. Rami’s mission is to educate the public on financial topics and techniques that help reduce taxes, create guaranteed income streams and offer protection in the volatile marketplace. Rami is a graduate of CSUSB with a degree in Management. He also received a Masters Degree in Management from National University, Doctorate in Business Administration at Columbia Southern University, and holds additional financial designation including: Accredited Asset Management Specialist (AAMS) and Accredited Wealth Management Advisor (AWMA) through the College for Financial Planning. Rami is very active in the community as well. He is on the board of JJ Smiles Foundation, a non-profit organization dedicated to bettering the lives of children. Now, you'll find Rami teaching as an adjunct professor at CSUSB and La Sierra University. BIOGRAPHY: Dr. Adeeb Hattar is an Adjunct Professor of Marketing at California State University, San Bernardino (CSUSB). He completed a B.S in Business Administration from CSUSB in 2010, an M.B.A from the University of Redlands in 2012, and a D.B.A from Walden University in 2016. Dr. Hattar’s doctoral dissertation explored strategies that leaders of a successful U.S. bank used to identify efficiency changes occurring during a financial crisis. Furthermore, Dr. Hattar is president of Hattar Investments, a corporation whose main business is holding and managing assets for investment purposes. He ensures operational excellence for the business to run effectively and cohesively. Dr. Hattar is result driven with an effective record in generating tremendous business solutions. Additionally, Dr. Hattar has a 9-year banking career with Bank of America distinguished by a commendable performance of accomplishing large-scale goals. He would challenge his staff by implementing problem solving exercises and disruptive innovation. Also, Dr. Hattar encouraged the development of intellectual curiosity in financial services including processing new account transactions and account management. Dr. Hattar believes in giving back to the community. As an alumnus from CSUSB, his focus is to help students earn a college education. As an entrepreneur and an adjunct professor, Dr. Hattar aims to inspire students on a daily basis. His objective is to share his knowledge and experience to help direct the next generation into their future careers. BIOGRAPHY: Duane Cofield obtained his undergraduate degree from California State University San Bernardino in Marketing while starting a career in radio sales at Wild96.1FM . His career in radio led him to work for Stevie Wonder’s 102.3 KJLH as a digital marketer and although he enjoyed his job and career there, he was also going to school at night to obtain his Master’s Degree. In 2014 Duane graduated from California State University Long Beach with an MBA and started an online beauty company during his last year of study. Duane recently fulfilled his lifelong dream of teaching at University when he received the opportunity to teach Personal Selling and Social Media at CSULA. In addition to running a business and teaching, Duane also host a Podcast titled Drug Dealers to Businessmen Podcast: Converting Street Skills into Millions which has been well reviewed and received. In his spare time Duane loves to spend time with family, surf the best beaches and hike the best hikes with his wife Lei Lani.